A new volunteer led project ‘Stitches in Time’ is underway to tell the story of Innerpeffray’s collections and its history in textiles, and to celebrate the art of the book over the centuries, the content and illustrations which are waiting to be discovered within their pages as well as the history, flora, fauna and people of the Library of Innerpeffray itself. Another aim of the project is to engage a different wider audience with the Library through the medium of textiles, as well as to create an exhibition which appropriately interprets the richness and diversity of the collection. 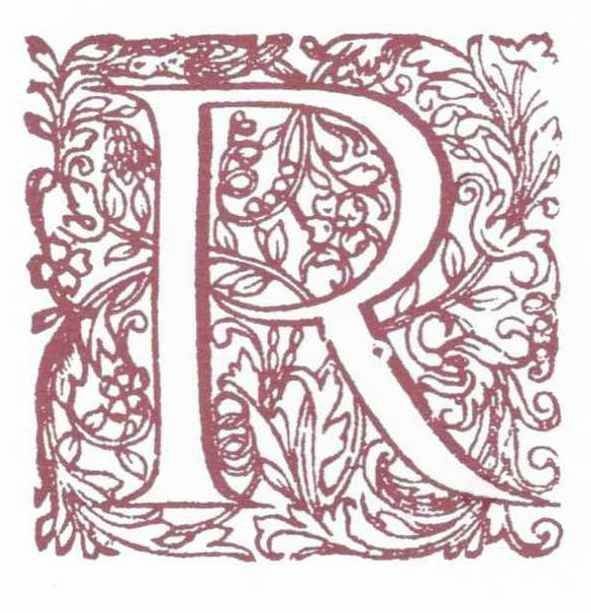 Starting with the Innerpeffray Library Alphabet, volunteers of all stitch experience levels have taken the beautiful woodcut letters featured in so many of the collection, as inspiration to interpret in any style they wish. The letters will be assembled onto a panel and will be displayed within the Library itself. Future panels in the planning will feature a variety of subjects including animals, birds and figures. There are also ideas a foot of having an ongoing stitch project set up at Innerpeffary which will encourage visitors to get involved even if it’s only a couple of stitches, everyone is welcome to get involved. Anyone can take part, whatever your experience, if you’re interested in joining in the Stitches of Time project, please contact Lara Haggerty at Library of Innerpeffray on 01764 652 819. The Library is now housed in the elegant 18th-century building, beside the River Earn in a very beautiful spot in rural Perthshire. The Founders’ original library consisted of around 400 books, and today the varied collection of books includes subjects such as history, wildlife, law, politics, and gardening. 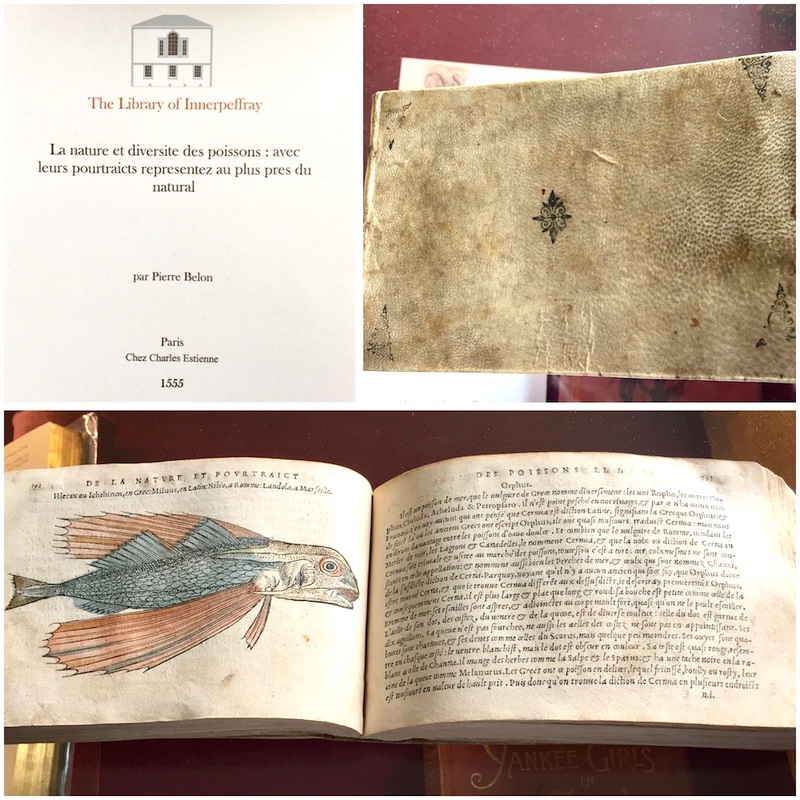 You can see the unique Borrower’s Register, works from Robert Burns, numerous first editions of Scottish books and early books such as Poisson by Pierre Belon from Paris from 1555 and the Henry VIII Great Bible from 1539. 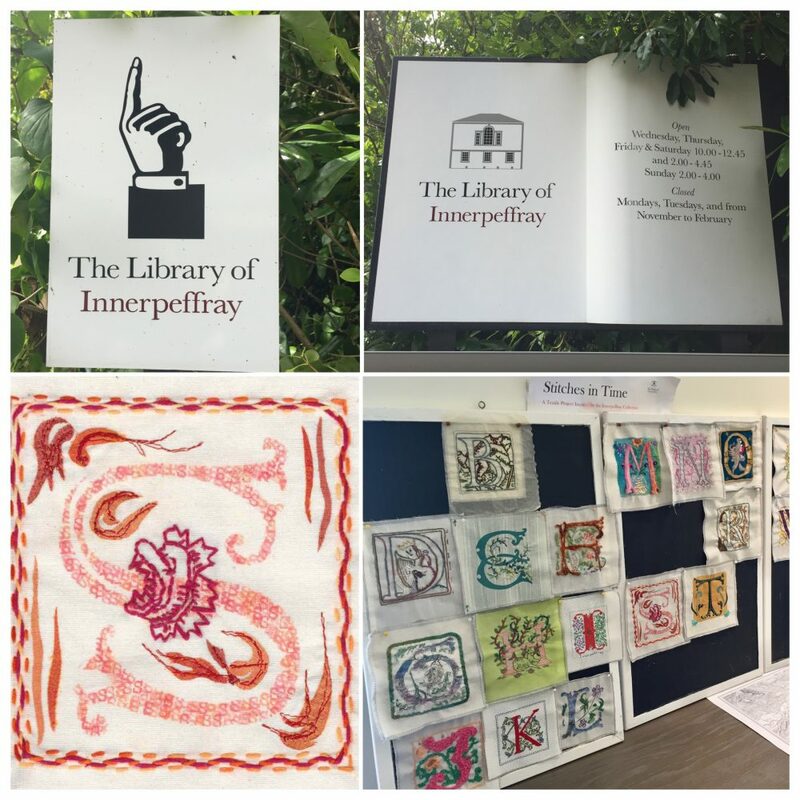 Details on visiting opening hours, location, events, and ways to support the Library of Innerpeffray can all be found on The Library of Innerpeffray website.